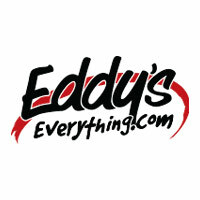 Join a Winning Team at Eddy’s Everything! Above average? Self-motivated? Driven to do better than the rest? Don’t need micromanaged? Do you thrive to make things happen? Believe the customer comes first? We are always looking for great talent – entry sales professionals, sales professional management, car wash attendants, service drivers, BDC representatives, and experienced automotive technicians. Benefits include vision, dental, health insurance, and 401K (after 1 year of employment). Perks vary on job position. *No experience needed for entry level positions. Training and shadowing will be provided. If this sounds like your piece of the pie and a good fit for you, please click below to apply online. Thank you for your interest in our dealership! We have a great history of providing excellent career opportunities for sharp, energetic people. Eddy’s is currently looking for a clerk for our Records Department. This candidate will be responsible for performing specialized clerical duties such as record keeping and managing forms and information. You will also be responsible for responding to queries by other departments. This position is full time, Monday-Friday 8-5. No weekends required. Eddy’s Chevrolet Cadillac is conducting a search for Experienced GM Technicians. GM dealership experience or GM certifications are a plus. Are you a top performer who wants unlimited income potential? If the answer is YES, then Eddy’s Chevrolet Cadillac is where you need to be! While some businesses may be slowing down, our service area is speeding up!! We run a high volume, high production shop, with quality of work and client satisfaction as main focuses. If you are looking for a change in your career and for a great place to work, Eddy’s Chevrolet Cadillac is for you. We provide continued training and growth opportunities for our technicians. Eddy’s Chevrolet Cadillac service department has reached high volumes of work without the number of hands to match. If you are an honest, hardworking technician who values integrity and ethics, we are looking for you. Our professional service advisors know that team work with our technicians is crucial. Consequently, we have great CSI results. Eddy’s strives to be a place where people Love to work and Love to do business. At Eddy’s we recognize the value of continuous growth. We believe every member of our team has unique talent and we are committed to helping them reach their full potential. Eddy’s proudly represents Lincoln, Chevrolet, Cadillac, Chrysler, Dodge, Jeep, Ram, Toyota, Volvo, Subaru, and Mazda to meet the wide variety of our client’s needs. We are an equal opportunity employer. If Eddy’s is your next career move – apply today!! Eddy’s Lincoln of Wichita is conducting a search for Experienced Lincoln/Ford Technicians. Lincoln/Ford dealership experience or Lincoln/Ford certifications are a plus. . If the answer is YES, then Eddy’s Lincoln is where you need to be! If you are looking for a change in your career and for a great place to work, Eddy’s Lincoln of Wichita is for you. We provide continued training and growth opportunities for our technicians. Eddy’s Lincoln of Wichita service department has reached high volumes of work without the number of hands to match. If you are an honest, hardworking technician who values integrity and ethics, we are looking for you. Our professional service advisors know that team work with our technicians is crucial. Consequently, we have great CSI results.